NANNING: The Malaysia External Trade Development Corporation (Matrade) is pushing to double the number of Malaysia-China business matching sessions to more than 1,000 during the 15th China Asean Expo (CAEXPO) 2018. Chief Executive Officer Ir Dr Mohd Shahreen Zainooree Madros said during the CAEXPO 2017, a total of 500 business matching were organised. Speaking to Malaysian reporters on Monday, he said the sessions were aimed at helping first time exhibitors, who made up about 60 per cent of the total participants, secure local partners. Overall, 174 exhibitors have taken up 180 booths at CAEXPO 2018. He said CAEXPO was a well recognised platform that can be used as a gateway to enter China as well as other Asean markets. "These 1,000 business matching will he held over two-days. Its not only to promote their products but also to help them realise export and trade. "Over the past years, our trade with China has been healthy. In the first half this year, we saw a seven per cent growth in bilateral trade between Malaysia-China which was evident of the strong interest from Chinese consumers towards our product," he added. 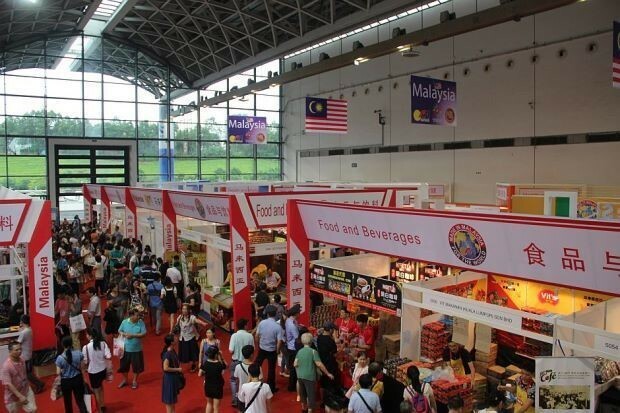 Mohd Shahreen said CAEXPO, being the largest exhibition participated by MATRADE, has enabled more than 1,600 Malaysian small and medium enterprises (SMEs) to trade with China. It has also enhanced the presence and outreach of Malaysia's position as China's largest source of imports into the Southeast Asia region. Besides intensifying promotion and brand building in China's second and third tier cities, the expo also actively engageswith prominent e-commerce partners in China. "We have 12 strategic partners such as Alibaba, Tmall, jd.com, Ule.com and 1688.com," he said. At this year's CAEXPO, MATRADE is focusing on the food and beverages, health and wellness, lifestyle and services sectors. A total of 12 Malaysian ministries and government agencies are also taking part in the expo, held from Sept 12 to Sept 15, 2018. Overall, RM450 million in sales is expected to be generated from the expo, higher than the RM405.50 million recorded a year ago. For first time exhibitor, Lee Fah Mee Sdn Bhd, the company is optimistic of shipping its instant Sarawak Laksa noodle to China next year. "We have successfully penetrated Australia and Singapore and we are keen to do well in China too," its Business Development Manager, Wilson Chai told Bernama. Similarly, cosmetic manufacturer, Skymatics Holdings Sdn Bhd is also confident of penetrating the market next year after exhibiting at CAEXPO for four consecutive years. The company is in the final stage of getting approval to enter the market after successfully building up its network in second tier cities through CAEXPO and is now looking for partners from first tier cities.